With a death rate of one in five, sepsis is a fast-moving medical nightmare. New testing methods might improve your odds of survival if this infection ever hits you. While we usually think of a deadly medical condition as the result of infection with a bacteria or virus, sepsis is a different kind of ailment. While sepsis occurs when the body is under attack from an infection, sepsis is an amplified immune response that can cause death quickly. Of the roughly five million people admitted to intensive care units in the US, life-threatening sepsis attacks more than one million patients. Between 28% to 50% of these patients die, a mortality figure that tops deaths from breast cancer, AIDS, and prostate cancer combined. With sepsis, for reasons doctors don't fully understand yet, the immune system decides it has had enough and mounts a response so virulent that it damages the body and internal organs. Severe sepsis launched by the immune system frequently ends in the death of its host — a Pyrrhic Victory if ever there was one. Sepsis usually occurs when the body is already under attack by a skin, gut, lung, urinary, or other infection. Staphylococcus, Streptococcus, and Escherichia coli are common bacterial culprits in infections that lead to sepsis. Because of its deadly nature, health agencies like the Centers for Disease Control and Prevention have undertaken campaigns to identify and treat sepsis, as well as raise public awareness of its symptoms. 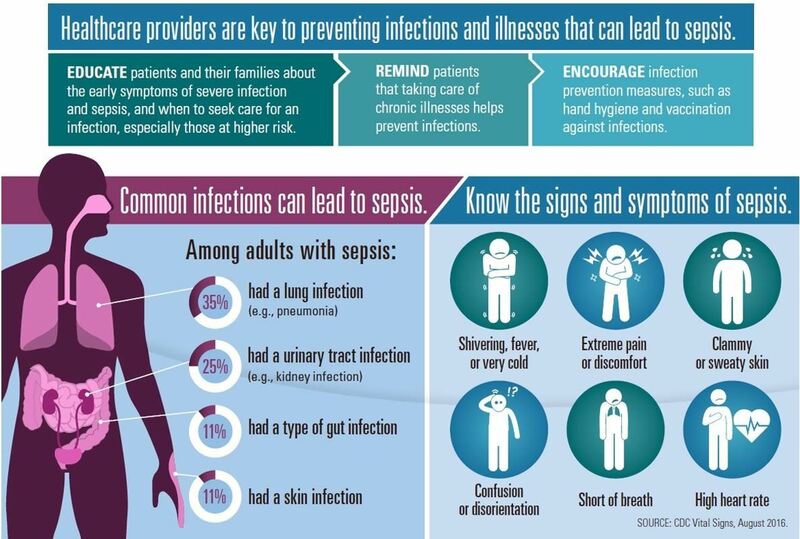 An important part of sepsis treatment is for patients to understand what they might be facing, and for physicians to quickly evaluate and treat patients who appear to be developing sepsis. Because fast diagnosis and treatment of sepsis is key to survival, diagnostic protocols are used in many hospitals to assess and treat sepsis patients rigorously. Studies have shown that vigorous adherence to these rules can increase survival, while every additional hour taken to complete the protocols increases the chance of patient death by four percent. In the research, study authors note, "The diagnostic process (for sepsis) takes longer than the disease progression, thus leaving huge diagnostic gaps in the treatment pathway." Translated, this means that the patient can suffer fatal setbacks in the time it takes to get a diagnosis, which means quick assessment can be lifesaving. To create a fast and portable sepsis test to speed diagnosis, researchers at the University of Illinois and the Carle Foundation Hospital in Urbana recently finished a clinical trial of a "microfluidic biochip," or lab-on-a-stick, which measures critical biomarkers of a sepsis attack with only one drop of blood. Described in the journal Nature Communications, the mobile test is a point-of-care device that is engineered to detect changes in immune components in patients who could be at risk of sepsis. The test tells doctors the total number of white blood cells present, offering an idea of the immune response at the moment. It offers a count of the neutrophils present in the blood sample (neutrophils are white blood cells that respond quickly to bacterial infection). This data adds to the immediate knowledge of the status of the immune response. The amount of a protein marker, called CD64, that is known to rise rapidly with an immune response. Tracking CD64 allows physicians to understand the present status of the immune system. 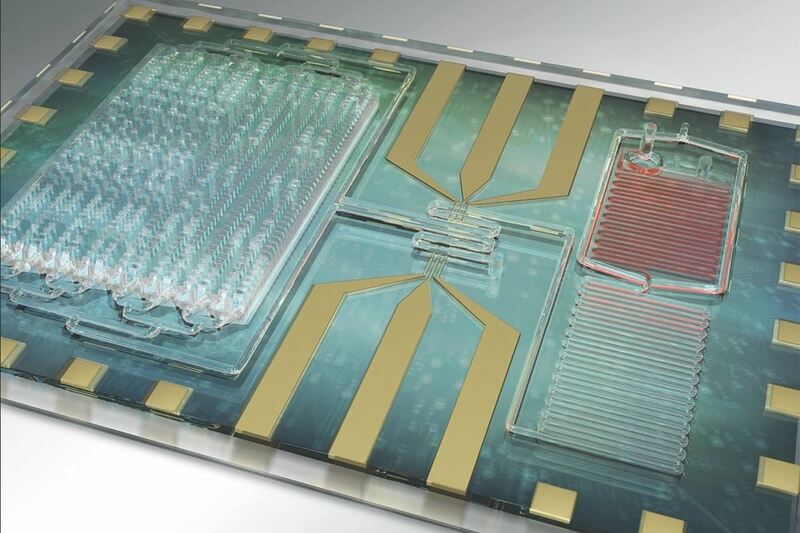 The lab chip gives healthcare providers a real-time chance to identify a runaway immune response and work quickly to avert sepsis if possible. In the clinical phase of testing, researchers found measurements provided by the lab chip compared favorably with results of traditional testing that involves more time and processing, plus the vital signs of patients as the disease progressed. Sepsis is one of the most serious, life-threatening problems in the ICU. It can become deadly quickly, so a bedside test that can monitor patient's inflammatory status in real time would help us treat it sooner with better accuracy. Getting a jump on a developing case of sepsis gives physicians a chance to save lives. Postdoctoral researcher and first author, Umer Hassan, said: "By measuring the CD64 and the white cell counts, we were able to correlate the diagnosis and progress of the patient — whether they were improving or not. We hope that this technology will be able to not only diagnose the patient but also provide a prognosis." By the time many patients arrive at the hospital, an overwhelming immune response could be underway. Rigorous treatment protocols and new technology may improve the survival rate for this too-often fatal condition.